“We work hard to find any good value appellation or stunning wine to surprise any palate and to bring some new interest and knowledge to everyone,” says head sommelier, Daniele Chelo. 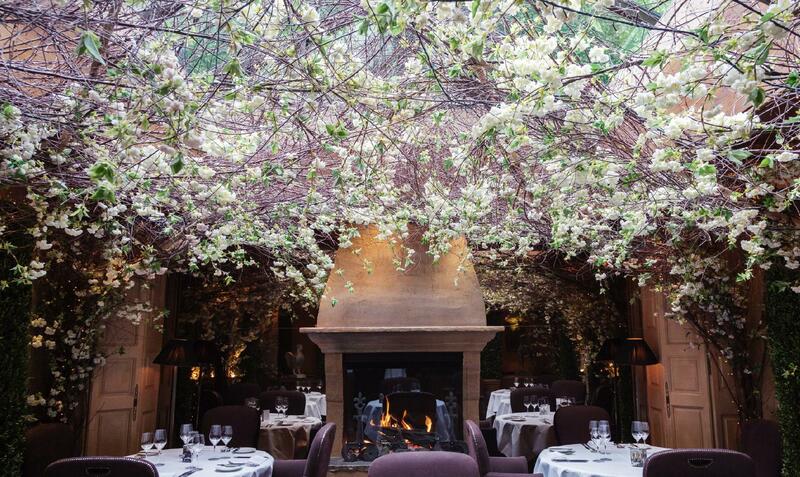 Milan-born Daniele Chelo oversees over 2,500 bins at Clos Maggiore, a tall Covent Garden venue with famously blossom-adorned conservatory, regularly touted as London’s “most romantic” restaurant. Chelo “fell in love with hospitality” at the Michelin-starred Al Pont de Ferr, Milan, and in London, rose the ranks at Jason Atherton’s City Social, where he became a certified sommelier (Court of Master Sommeliers). Chelo has been gradually adding “his touch” to Dubuis’ list, with additions ranging from £30 to £2,000 per bottle, including: Guigal St. Joseph Lieu-Dit, “an incredible, powerful Marsanne”, Matias Riccitelli Republica del Malbec, “a beautiful option for Malbec lovers”, Mamete Prevostini Albareda, “a Sforzato di Valtellina from my region and therefore a love story between us. It’s made with Chiavennasca (Nebbiolo) grapes dried under the sun like Amarone.” Chelo also put Château Pape Clément Blanc 2006 by-the-glass via Coravin. Clos Maggiore plays host to regular symposiums including Dom Pérignon and Napa’s Cakebread Cellars. “I couldn’t resist listing a few vintages of their Dancing Bear Ranch.” However, “the best is yet to come,” teases Chelo. Dishes by head chef, Marcellin Marc who takes a “contemporary approach to Provençal inspired dishes” may include poached fillet of organic Scottish sea trout with Baeri caviar, perhaps partnered with Casa da Passarella’s Villa Oliveira Encruzado. “The wine’s structure and richness from slight skin contact works well with the dish’s creaminess and fattiness,” says Chelo. Chelo dreams of owning a vineyard of Nebbiolo in Italy’s Langhe, where he feels “peaceful” and “so amazed by the landscape.” The people and food just complete the dream scenario. Evoking a French Ben Stiller in profile, guardian of the list, Antonin Dubuis has led a starry career, including Maze, Yautcha Soho, Yautcha City (which he helped open), and, immediately prior to being headhunted by Clos Maggiore, The Greenhouse – which boasts circa 3,600 bins. Clos Maggiore’s 2,500 listings are locked in the building’s temperature controlled fourth floor eaves. ‘There’s no lift, so a big delivery helps you stay fit,’ remarks Dubuis. Taking influence from Provence and Tuscany, dishes, by head chef, Marcellin Marc may include octopus salad, with lime, basil, and pig’s trotter croquette, roast turbot with cockle, squid, romanesco and spinach, and shoulder of milk fed Pyrenees lamb for two, followed by pear poached in tonka bean syrup, perhaps with a golden chaser of Inniskilin Riesling Ice Wine. Theatreland’s most romantic restaurant can still boast one of the largest lists in the UK. Its 2,500 listings from 18 countries include some extremely impressive verticals of first growth Bordeaux, Super Tuscans and Romanée-Conti. It has also been particularly strong in its Californian selection for some time. Some might find it quite intimidating when this hefty, 100-page tome is placed on the table. It could even be deemed ‘anti-social’ given the silence that can drop while the list is examined. It is nevertheless a spellbinding collection to complement delicate dishes such as native lobster, scallop and king prawn tortellini poached in langoustine bisque, and roasted Wagyu beef from Kyushu Island, Japan.